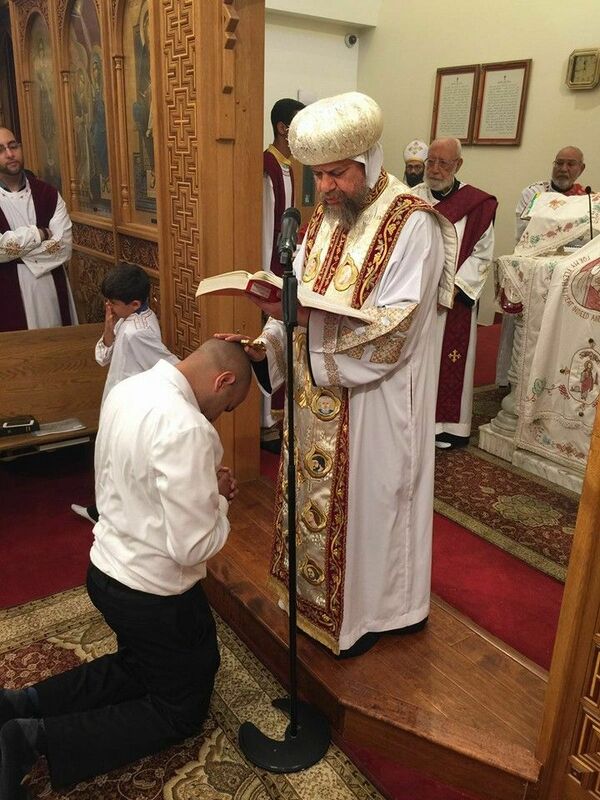 Today, His Eminence Metropolitan Serapion, accompanied by Their Graces Bishop Abraham and Bishop Kyrillos, laid hands upon and ordained the servant, Daniel Meleka, to the priestly rank of deacon at the Divine Liturgy for the June 2016 Clergy Meeting at St. Mark Coptic Orthodox Church in Los Angeles. 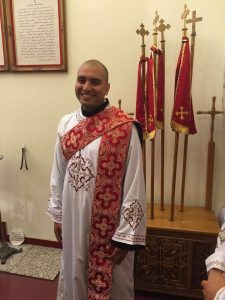 This was the first step in Deacon Daniel’s ultimate ordination as a presbyter to serve in the Diocese at St. Mary and St. Athanasius Coptic Orthodox Church in Northridge. The children of the Diocese joyfully proclaim “Axios!” and pray for Deacon Daniel, his wife, Magdoleen, and their entire family as he begins this stage of his service.